How will the Trump administration get along with Democrats when the opposition party holds subpoena, investigation, and budget-setting power in January? Interior Secretary Ryan Zinke offered a preview Friday afternoon, responding from criticism by the top Democrat on the House Natural Resources Committee by insinuating on Twitter that Arizona Rep. Raul Grijalva is a drunk. Grijalva will likely chair the committee, which oversees Interior, when Democrats take control of the House at the beginning of next year’s Congressional session. 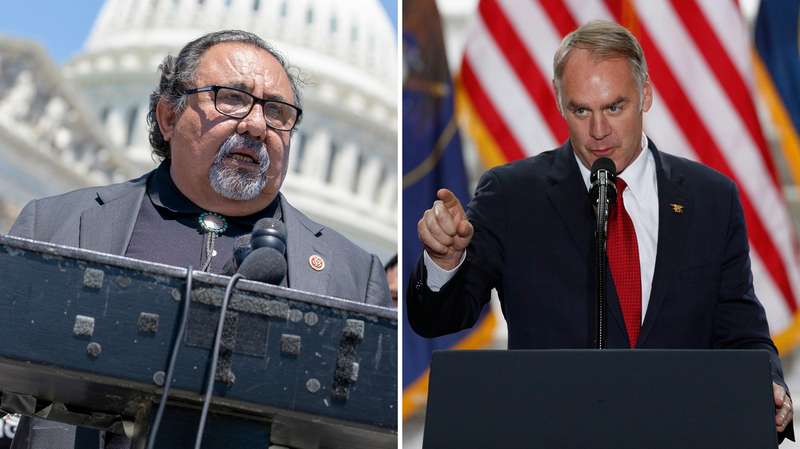 Earlier Friday, Grijalva had published an opinion piece in USA Today calling attention to various ethics scandals that have swirled around Zinke, and urged the Montana Republican to resign. “It’s hard for him to think straight from the bottom of the bottle,” Zinke responded in a statement posted on Twitter, including a hashtag referencing a bar near the U.S. Capitol where lawmakers and political operatives drink after work. He also called him “hostile,” and suggested the Democratic Congressman should step down. Zinke has been one of President Trump’s more high-profile and aggressive cabinet secretaries. He has aggressively promoted national parks, while also expanding oil and gas leasing on public lands, rolling back environmental regulations, and scaling back the size of two national monuments. At the same time Zinke has generated publicity for himself by commuting to the Interior Department’s offices on horseback on his first day as secretary, among other high-profile actions. Like several other Trump cabinet members, Zinke has also faced numerous ethics inquiries, including probes into his personal finances, travel, and blending political actions with his official capacities. The most high-profile ethical questions have been focused on a land deal in Montana involving Zinke’s family foundation and a project tied to Halliburton’s chairman. Zinke has been cleared by several internal investigations, but many questions are still lingering, especially among Democrats like Grijalva. The two men will likely be able to continue this back-and-forth come January, with a committee dais and witness table in between the two of them.